← Happiness: Moving The Average Up! When Christmas Falls on Hump Day! Thank you for the support throughout the year! We couldn’t resist the hump day reference! Have a safe and happy holiday season! 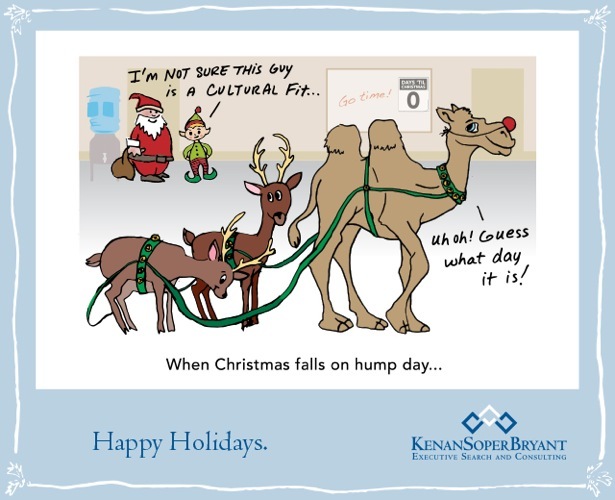 This entry was posted in Executive Recruiting, KenanSoperBryant, Personality Profiling, Uncategorized and tagged cultural fit, holiday, Hump Day. Bookmark the permalink.